ARRL and the Community Associations Institute (CAI) -- the national association of homeowners associations (HOAs) -- have reached consensus on provisions of the Amateur Radio Parity Act, H.R. 1301. ARRL and CAI have worked intensively since February to reach agreement on substitute language for the bill in an effort to move it through the US House Energy and Commerce Committee and to overcome objections to the companion US Senate bill, S. 1685. Along the way, the offices of U.S. Representatives Adam Kinzinger (R-IL), Greg Walden, W7EQI, (R-OR), and Anna Eshoo (D-CA) mediated and offered assistance. 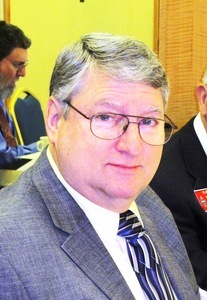 ARRL Hudson Division Director and Legislative Affairs Committee Chairman Mike Lisenco, N2YBB, called the agreement "a significant development in the League's 30-year pursuit to secure the ability to erect Amateur Radio antennas in deed restricted communities." ARRL General Counsel Chris Imlay, W3KD, said the League was pleased to have reached an agreement with CAI over new proposed language in this legislation that both ARRL and CAI endorse and support. "We agree with CAI that the substitute amendment is balanced, and we think that this bill's language is more objective and offers perhaps more guidance to HOAs than would the PRB-1 'reasonable accommodation' test for municipal land use regulations," he said. "The bottom line," Imlay said, "is that if the bill is enacted, it would allow every amateur living in a deed-restricted community -- for the first time in the history of Amateur Radio in the US -- the ability to install an effective outdoor antenna." "That would benefit thousands of current and future hams living in deed-restricted communities," Lisenco added. Imlay explained that the substitute bill would guarantee that a radio amateur living in a deed-restricted community -- including condominium or townhouse communities -- could install and maintain an "effective outdoor antenna." Achieving the agreement came without disrupting 30 years of zoning case law that has interpreted the PRB-1 federal preemption and protected radio amateurs from overregulation by zoning authorities. The bill incorporates the basic tenets of PRB-1. According to the substitute bill's language, the FCC would enact rules prohibiting the application of deed restrictions that preclude Amateur Radio communication on their face or as applied. Also prohibited would be deed restrictions that do not permit an Amateur Radio operator living in a deed-restricted community to install and maintain an effective outdoor antenna on property under the licensee's exclusive use or control. The substitute bill would prohibit deed restrictions that do not impose the minimum practicable restriction on amateur communication to accomplish the lawful purposes of a homeowners association (HOA) seeking to enforce the restriction. Amateurs wishing to install an antenna in a deed-restricted community would have to notify and obtain prior approval of the homeowners association. HOAs would be able to preclude the installation of antennas in common areas -- ie, property not under the licensee's exclusive use. ARRL Hudson Division Director and Legislative Affairs Committee Chairman Mike Lisenco, N2YBB. The substitute measure provides that HOAs could enact reasonable written rules governing height, location, size, and aesthetic impact of outdoor antennas and support structures, as well as installation requirements. Those rules could not preclude amateur communication nor restrict the absolute entitlement of each amateur living in a deed-restricted community to an effective outdoor antenna, however. The amended measure reiterates the strong federal interest in Amateur Radio communication in a licensee's residence. "Community associations should fairly administer private land use regulations in the interest of their communities, while nevertheless permitting the installation and maintenance of effective outdoor Amateur Radio antennas," the negotiated language states. "There exist antenna designs and installations that can be consistent with the aesthetics and physical characteristics of land and structures in community associations while accommodating communications in the Amateur Radio services." Lisenco cautioned that getting the Amateur Radio Parity Act signed into law still remains a long process. "Much work needs to be done," Lisenco said. "ARRL will still need to call upon the entire membership to contact their elected officials, especially in the Senate, to ask for their affirmative vote on this bill," he stressed. This is only a test... Amateur Radio is playing a major role in the largest FEMA exercise of 2016, "Cascadia Rising," which got under way on June 7 and continues until June 10. In the exercise scenario, a magnitude 9.0 earthquake and consequent tsunami have struck the Pacific Northwest, and the exercise began with a blackout of all conventional means of communication -- a natural opening for Amateur Radio involvement. ARES/RACES organizations in Oregon and Washington have been heavily involved, and ARRL Headquarters, including W1AW, has been in the loop as well. In the exercise scenario, all Oregon ARES teams have been activated, and an emergency net convened on 20 meter SSB. As part of the exercise, a Winlink HF e-mail from ARRL Oregon Section Manager John Core, KX7YT, indicated that Seaside had been "severely damaged by a tsunami wave" with "many missing persons." Among those unaccounted for were ARRL staff, Directors and Vice Directors attending the Pacific Northwestern Division Convention in Seaside (Sea-Pac -- the actual convention ended on June 5). ARRL Headquarters Volunteer Skip Colton, W1FTE (rear), and ARRL Field Organization Supervisor Steve Ewald, WV1X, check into the national net from W1AW as part of the "Cascadia Rising" exercise. W1AW Station Manager Joe Carcia, NJ1Q, handled message traffic via Winlink. 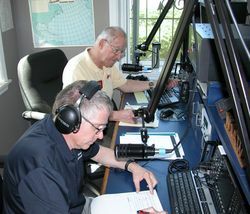 ARRL Emergency Response Manager Mike Corey, KI1U, called a meeting of the ARRL HQ Emergency Response Team on June 7. Corey said ARRL Headquarters has been taking part via Winlink and HF voice, adding that the exercise offers an opportunity to exercise the ARRL Headquarters Emergency Response Team. "This team is called up to support the ARRL Field Organization during a major disaster, when support cannot be provided during normal business hours," he explained. According to FEMA, emergency operations centers (EOCs) and emergency coordination centers (ECCs) at all levels of government and the private sector are conducting simulated field response operations within their jurisdictions and with neighboring communities, state EOCs, FEMA, and major military commands. FEMA will activate the five discrete Amateur Radio channels on 60 meters for use during the interoperability exercise. "All About Baluns" is the topic of the newest (June 2) episode of the "ARRL The Doctor is In" podcast. Listen...and learn! Just ahead on June 16, the topic will be "Grounding." June is the beginning of sporadic-E season, which means the likelihood of good domestic openings on 10 and 6 meters goes up for a couple of months. NPOTA Activators and Chasers alike should not overlook the QSO possibilities to be found on these bands. Activators can take advantage of gain antennas for these bands, which are much smaller than their 20 and 40 meter counterparts. In addition, access to 10 and 6 by Technician licensees means many contact opportunities with an entirely new segment of Chasers. Stay alert for activity on these bands for the next couple of months. There are 40 activations on the NPOTA calendar June 9-15, including the rare Niobrara Wild and Scenic River in Nebraska, and the Washita Battlefield National Historic Site in Oklahoma. Father's Day is Sunday, June 19. Remember to shop smile.amazon.com, and Amazon will make a contribution to the American Radio Relay League. This helps the League to extend its reach in public service, advocacy, education, technology, and membership. Make Dad's day. Browse great Father's Day gift ideas now! Bookmark ARRL's link and support Amateur Radio and the ARRL every time you shop online. 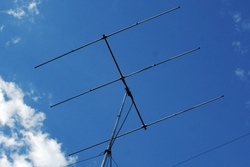 One of the premier VHF/UHF events on the contest calendar is the ARRL June VHF Contest, which gets under way at 1800 UTC on Saturday, June 11, and continues until 0259 UTC on Monday, June 13. The object for participants in the US and Canada (and their possessions) is to work stations in as many different 2° × 1°Maidenhead grid squares as possible, using authorized frequencies above 50 MHz. Stations outside the US and Canada (and their possessions) may only work stations in the US (and its possessions) and Canada. Stations in KH0-9, KL7, KP1-KP5, CY9, and CY0 count as W/VE stations and may be worked by DX stations for contest credit. Whether from a home station, mobile, or even portable (perhaps mountaintopping or on the air at a nearby National Parks On The Air site), you won't need large antennas or elaborate gear to operate in the June VHF Contest, and you don't have to be a contesting "pro." June also is a favorable month for band openings on the "Magic Band" -- 6 meters. Even DX contacts are possible on 6. Single-Operator, Portable: For those who enjoy operating low power from a portable power source and using portable antennas. Rover: For mobile operators who enjoy traveling from one grid square to another to hand out contacts. Single-Operator, FM-only: A category for the 50, 144, 222, and 440 MHz bands at a power of 100 W or less. Even with a modest station, it's possible to work hundreds of miles on the VHF bands during a good opening. For more information, contact the ARRL Contest Branch. A new Colorado law has created an Auxiliary Emergency Communications (AuxComm) Unit within the state's Division of Homeland Security and Emergency Management (DHSEM). The action implements recommendations contained in a 2012 FCC report to Congress regarding the value of Amateur Radio in disasters and emergencies. 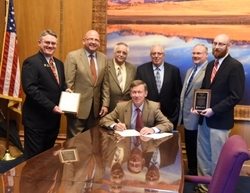 Colorado Gov John Hickenlooper signed the measure into law on June 6, after it sailed through both houses of the Colorado General Assembly. "This bill will make it possible for Colorado ARES to further enhance the level of emergency communications services during times of need," ARRL Colorado Section Manager Jack Ciaccia, WM0G, said. Colorado's General Assembly determined that "a uniformly trained and credentialed unit of communication volunteers available for disaster response" would "materially assist emergency preparedness and disaster response efforts across the state." The new law was conceived by Colorado Section Emergency Coordinator and State Government Liaison Robert Wareham, N0ESQ, an attorney, while he met with DHSEM staff in 2012. That year and the next, Amateur Radio operators played key roles in responding to multiple major disasters in Colorado, including wildfires that destroyed several hundred homes and a 500-year-flood that inundated much of north-central Colorado. "The real-life laboratory of successive major disaster helped us quickly realize the need for statewide response capabilities; which ideas worked, and which ones didn't," said Wareham. "In essence, we had the perfect storm of major disasters, FCC recommendations to Congress, and FEMA OEC sponsored training to bring it all together into the current auxiliary communications framework." The new statute provides that Colorado ARES will enter into a Section-level Memorandum of Understanding (MoU) with the state's Office of Emergency Management to recruit, train, credential, coordinate, and supervise members of the Auxiliary Emergency Communications Unit. "Too often, valuable Amateur Radio resources are diluted by having multiple organizations in a single community competing with one another, such as having separate ARES and RACES organizations in a single county," Wareham said. "Under the Colorado model, all Colorado ARES members who meet the training and background check requirements of the AuxComm Unit will be issued credentials that will be recognized statewide." The AuxComm Unit will perform all RACES functions for the state. Read more. Amateur Radio Emergency Service (ARES) volunteers in Kentucky recently joined other volunteer organizations, law enforcement, firefighters, and emergency managers in an effort to locate a missing single-engine private aircraft. 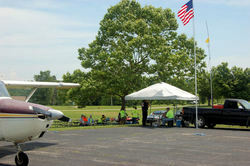 ARES teams and individual volunteers from Grayson, Hardin, and Davies counties and elsewhere mustered on June 1 at the Owensboro Airport -- the plane's destination -- to assist with communication. Kentucky State Police had put out the call for information on the plane's whereabouts. "We were only called out 'for communications,' so we didn't know what would be needed," Hardin County Assistant Emergency Coordinator Shelby Ennis, W8WN, said afterward. "Therefore, both W8QAS [the emergency communications point of contact for the incident] and I took a lot of gear. Most of it was needed." Kentucky Region 2 Assistant Section Emergency Coordinator George Allen, WA4YPQ, activated Hardin County ARES and requested help from Kentucky Section Emergency Coordinator Cecil Dennis, K4TCD. Firefighter Andrew Whobrey, KG4OOZ, also served at incident command (IC) for communications relay and support on non-ham radio frequencies, and three radio operators at the IC monitored the various radios and frequencies. Ennis said four dual-band radios were pressed into service. The crash site was spotted on the afternoon of June 1 in a remote area. A ground team subsequently reached the site and removed the body of the pilot, Dr Robert C. Dalzell Jr of Owensboro, a retired physician. "The local emergency manager and the others [involved] were greatly appreciative of our coming down and providing the communications for them," Ennis said. He noted that upward of 50 individuals, including a dozen or so radio amateurs, were involved in the search effort. 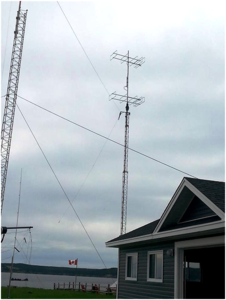 A transatlantic VHF digital receiver site has begun operation in Newfoundland. Frank Davis, VO1HP, reports that antennas were erected and a VHF SDR activated on May 19 to inaugurate the VO1FN "TransAtlantic VHF Digital Beacon Receiver Site." The receiver site, in grid square GN37, is sponsored by the Society of Newfoundland Radio Amateurs (SONRA), the Baccalieu Amateur Radio Klub (VO1BRK), and the Upper Trinity Amateur Radio Club (UTARC). Davis made his summer home and station in Freshwater, Conception Bay North, available for the receive-only site; it offers an unobstructed view of the North Atlantic, and he's open to suggestions as to how to take best advantage of the site's capabilities. "The point of this experiment is to provide a North American receiver online 24/7 that can be used by European beacon operators or well-equipped VHF stations to test their transmissions," he told ARRL. "It is a receive-only site, but if it is proven over time that signals can be heard and correlated with propagation studies, then it might stimulate operators to equip their stations to attempt a two-way QSO." Attempts have been made from Newfoundland and Labrador to transmit an Amateur Radio signal across the North Atlantic on 2 meters, with a two-way contact as the ultimate goal. The Irish Radio Transmitters Society (IRTS) offers its Brendan Trophy to the operators of the Amateur Radio stations to establish the first two-way communication on 2 meters between Europe and North or South America. The most recent effort to snag the Brendan Trophy took place from VC1T in Newfoundland in 2014. Interest stemming from that experiment led to the VO1FN project. "The receiver site is up and running using an SDR and SDR Console software," Davis told ARRL. He explained that users would first have to install SDR Console V2.3, and he would open a free account permitting them to log in. "We are willing to rotate the Yagi array in any direction for testing with distant 144 MHz digital stations," Davis said. Read more. Three proven and experienced DXpedition leaders of a large team of operators have announced plans to activate Bouvet Island (Bouvetøya), the number 2 most-wanted DXCC entity, in late 2017 or early 2018. Ralph Fedor, K0IR, Bob Allphin, K4UEE, and Erling Wiig, LA6VM, have been working on this project since returning from Peter I (3Y0X) some 10 years ago. "We are making this announcement now, so that other DXpedition teams that may be considering Bouvet as a DXpedition target can redirect their time and effort elsewhere," the trio said in the announcement. The team has an agreement with R/V Braveheart skipper Nigel Jolly, K6NRJ, to provide transportation, a helicopter, pilot, and mechanic. A website is under development. 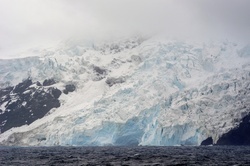 The west side of glacier-laden Bouvet Island. The group's preliminary plan, submitted to the Norwegian Polar Institute, has been accepted, and a permit will be issued to land on Slakhallet -- a huge glacier that covers the volcanic island. A dependency of Norway, Bouvet is a subantarctic island in the South Atlantic. The last Bouvet activation was 3Y0E, which took place during a scientific expedition over the winter of 2007-2008. Petrus Kritzinger, ZS6GCM, was the DXpedition operator. A Bouvet activation that occurred in January 2001 surprised the DX community. Dr Chuck Brady, N4BQW (SK), a retired NASA astronaut, operated solo as 3Y0C from Bouvet and got to talk about it at the Dayton DX Dinner a few months later. ARRL Network Maintenance Set for Sunday, June 12: The ARRL IT Department will conduct network maintenance on Sunday, June 12, to improve reliability and security. The work will occur between 1100 UTC and 2300 UTC. During this period some or all systems may be temporarily unavailable, including the website. Among services that will be affected are the ARRL Store, the National Parks on the Air (NPOTA) page, Logbook of The World (LoTW), the DXCC page, and the ARRL VEC page. E-mail also will be offline, but all messages will be queued for later delivery. Telephone service to ARRL Headquarters also may be affected. We apologize for any inconvenience. Houston Area ARES Activates in Response to Flood Emergency: ARRL South Texas Section Emergency Coordinator Frank Aguilar, N5SSH, reported on June 2 that South Texas District 14 Amateur Radio Emergency Service (ARES) had activated in response to continued flooding in the area. There had not been any communications failures, but ARES briefly assisted with other communication-related "situational awareness issues." District 14 ARES activated at the request of Harris County Homeland Security Office of Emergency Management. "Heavy rainfall continues to fall across Harris County and Southeast Texas," District 14 Emergency Coordinator Jeff Walter, KE5FGA, said at the time. The Harris County Office of Homeland Security & Emergency Management moved to Level 3 -- Increased Readiness -- in response to the potential flooding threat. 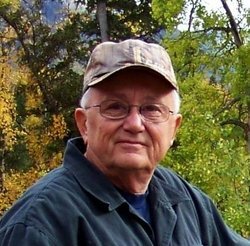 Past QST VHF-UHF Columnist, ARRL Staffer Bill Smith, W0WOI (ex-K0CER), SK: Former ARRL Headquarters staffer Bill Smith, W0WOI (ex-K0CER, W1DVE, and others), of Jefferson, Iowa, died on June 1. 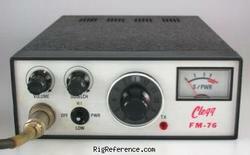 An ARRL Life Member, he was 78 and had been a radio amateur and League member since 1952. 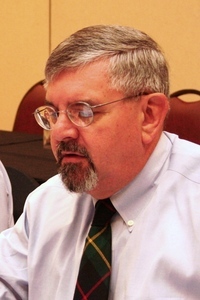 He served on the ARRL staff from 1967 to 1974 and was the editor of QST's "World Above 50 Mc." column, succeeding Sam Harris, W1FZJ. In 1967, Smith was among the founders (with W0CUC and W0ENC) of the organization that became the Central States VHF Society. He was said to be looking forward to the organization's 50th gathering later this year. Smith activated the Cayman Islands for the first time ever on 6 meters as ZF1DT in 1968, and he led the 1970 KL7ABR DXpedition to Alaska 2 years later for the ARRL June VHF QSO Party. He was on the DXCC Honor Roll and had nearly completed DXCC on 6 meters. He also enjoyed collecting vintage and rare QSL cards. On the professional side, Smith had extensive experience in television news reporting and documentary work. Tad Cook, K7RA, Seattle, reports: I thought it was too early in the decline of this solar cycle to start seeing days with no sunspots (ie, when the sunspot number is zero) but I was wrong. There were no sunspots on June 3-6. The last time there were four or more spot-less days was December 18-24, 2010 when there were no sunspots for an entire week. Last year, we saw no spot-less days, 2014 had just one, and there were none in 2012 or 2013. The average daily sunspot number dropped from 33 to 7.7 this week, and the average daily solar flux went from 87.4 to 80.7. Geomagnetic indicators were up slightly, with the planetary A index going from 8.9 to 11.6, and the mid-latitude A index from 9 to 9.4. Predicted solar flux for the near term is 80, 82, 85, and 90 on June 9-12; 95 on June 13-16; 90 on June 17-20; 85 on June 21-24; 80 on June 25-28; 78 on June 29-July 4; 82 on July 5-7; 85 on July 8-11, and 90 on July 12-17. Predicted planetary A index is 5, 8, 12, 16, and 12 on June 9-13; 8, 6, 8, 15, and 10 on June 14-18; 5 on June 19-22; 10, 12, and 8 on June 23-25; 10 on June 26-27; 5 on June 28-July 1; 25, 20; and 8 on July 2-4; 5 on July 5-8; 12 on July 9-10, and 8 on July 11-12. Sunspot numbers are somewhat subjective, based on a visual count of sunspot groups, the number of sunspots in those groups, and the total area covered by sunspots. Solar flux is an actual measure of one type of radiation reaching us from the sun -- radio energy with a wavelength of 10.7 centimeters, or 2.8 GHz. Sunspot numbers for June 2 through 8 were 27, 0, 0, 0, 0, 12, and 15, with a mean of 7.7. The 10.7 centimeter flux was 85.2, 83.2, 80, 79.1, 78.5, 78.5, and 80.1, with a mean of 87.4. Estimated planetary A indices were 4, 3, 4, 29, 26, 9, and 6, with a mean of 8.9. Estimated mid-latitude A indices were 5, 5, 5, 23, 21, 10, and 6 with a mean of 9.